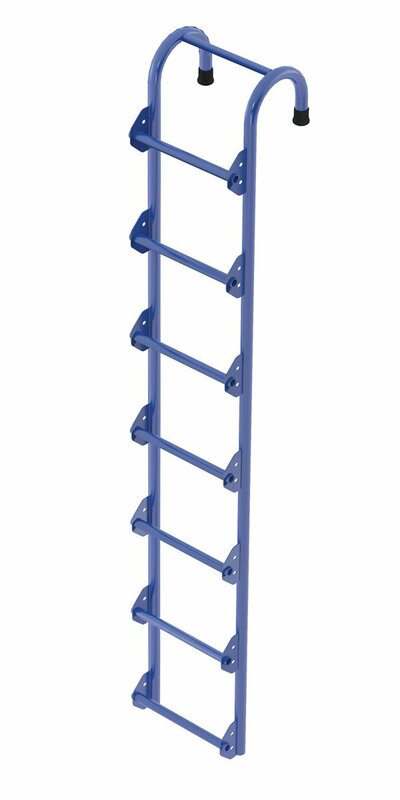 The 12 Step Steel Tank Access Ladder has a unique modular design for inspecting storage tanks. The rungs are offset to protect knuckles and are made from non-slip steel material. This ladder has a durable welded steel construction and a blue powder coat finish.